The orb chandeliers from the high-end stores can be very expensive so I repurposed a thrifted chandelier with macrame hoops and spray paint. 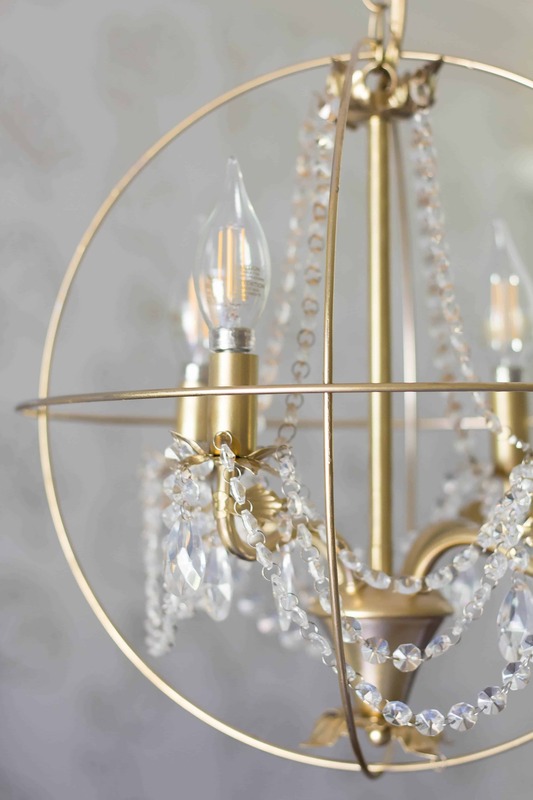 This DIY Orb Chandelier only took minutes to make and I was able to make over my chandelier for only a few dollars and the chandelier looks stunning. 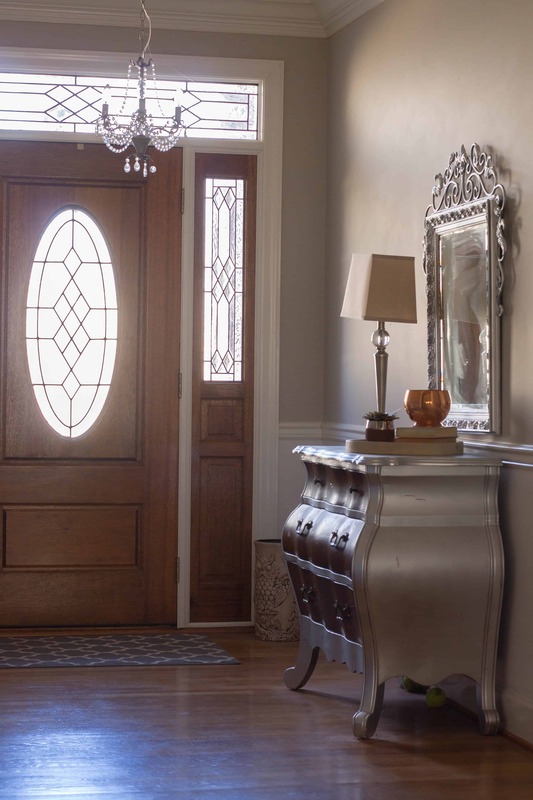 I am giving my foyer a makeover and I wanted to purchase a new chandelier for my new space. 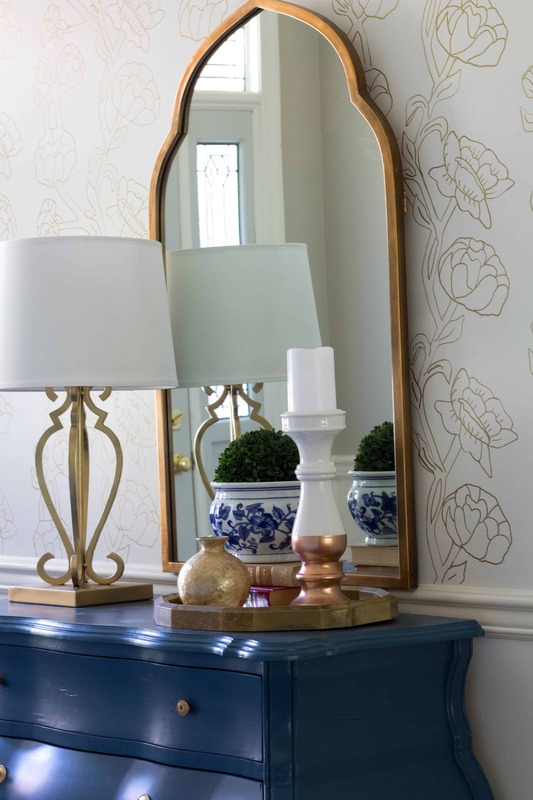 I have a new mirror from Soft Surroundings and I created a faux wallpaper treatment on my walls so I wanted a chandelier to complement the other items in the room. 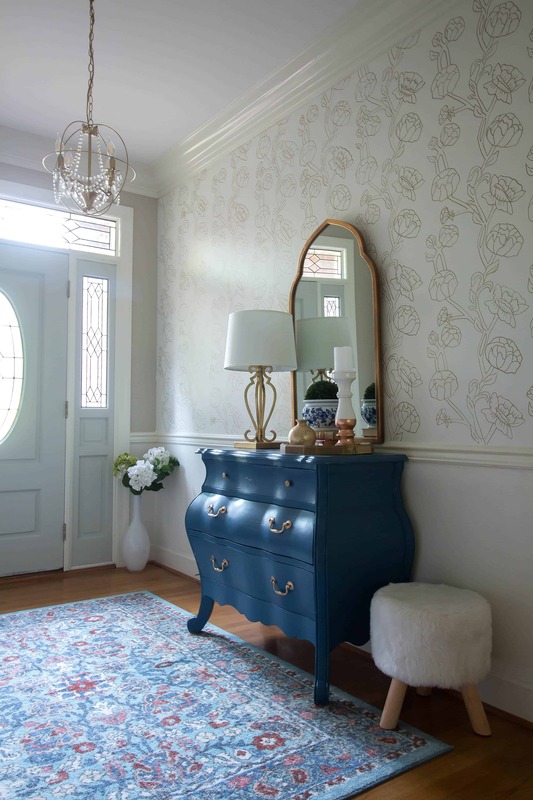 I spent hours online and decided that a crystal orb chandelier would look perfect in this new room. 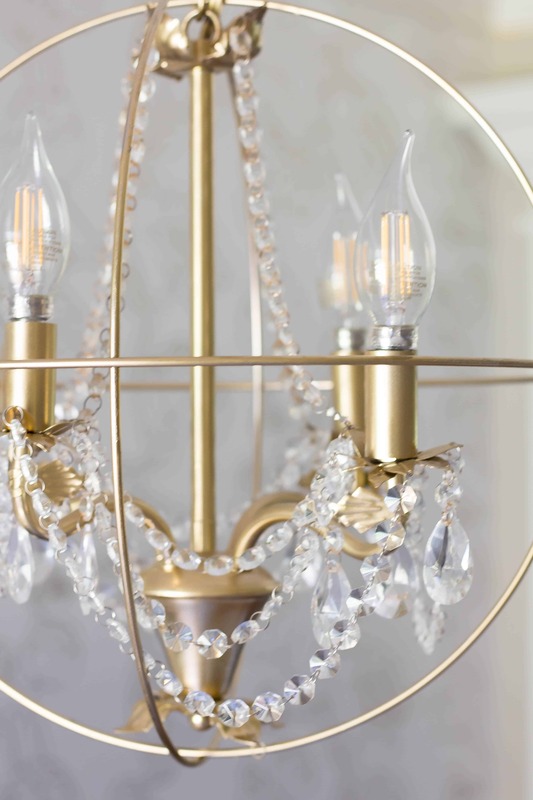 This chandelier from Ballard Designs is what I had in mind for this space. 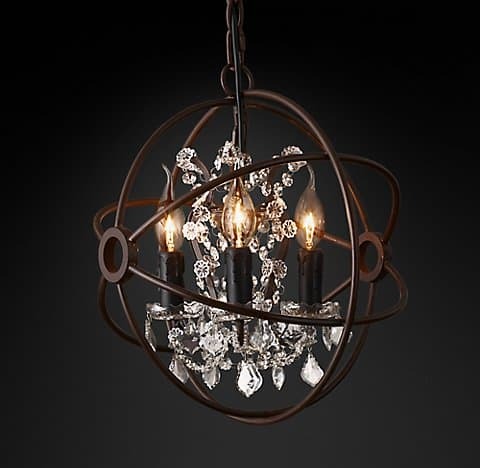 This chandelier from Restoration Hardware is on sale for $1046. That is way out of the budget so I decided to try to find a similar less expensive light. After I chose the chandelier, I walked into my foyer and looked at the original chandelier that I had purchased at the thrift store for $10. 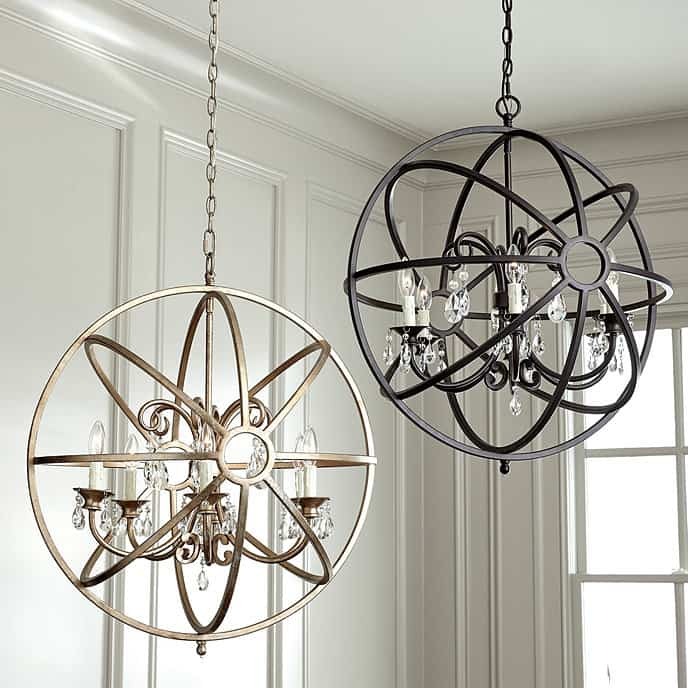 I thought that my chandelier looked exactly like the chandeliers that are inside the orbs from those high-end stores. I started thinking about what I could use for the orbs. On Pinterest, there are pictures of orb chandeliers made with embroidery hoops but I wanted something made with metal. I googled 14-inch metal hoop and some macrame hoops for $2 each popped up. You can purchase these hoops in all sizes so the 14-inch hoop fit my chandelier perfectly. Michael’s and Hobby Lobby also carry macrame hoops. 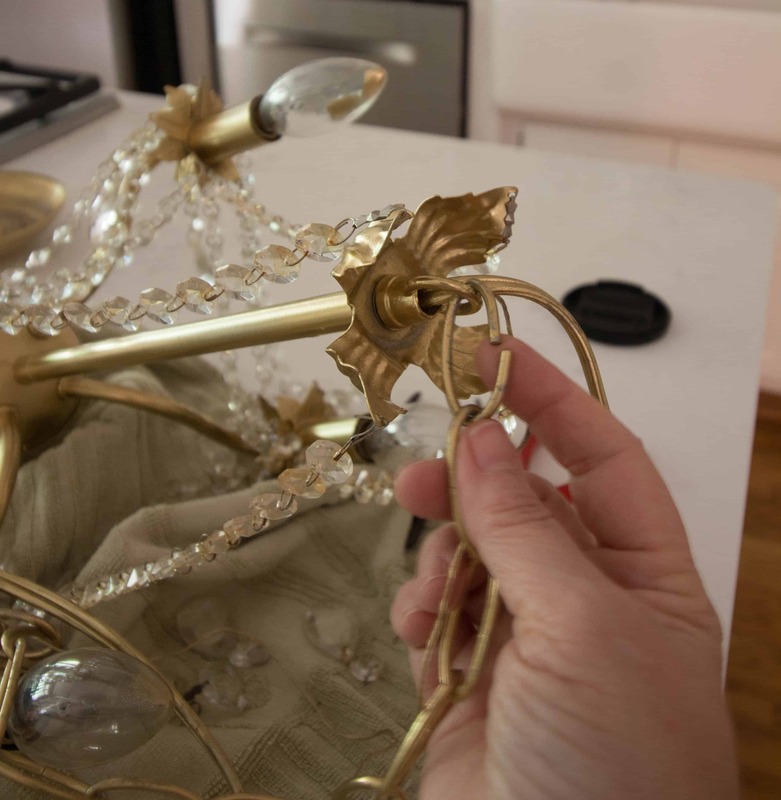 I removed all of the crystals by bending the tiny metal rings and slipping the rings off the chandelier. The crystals were easy to remove. I have a clothes rack that I tie or hang items on to spray paint them and I roll the rack outside to spray paint. 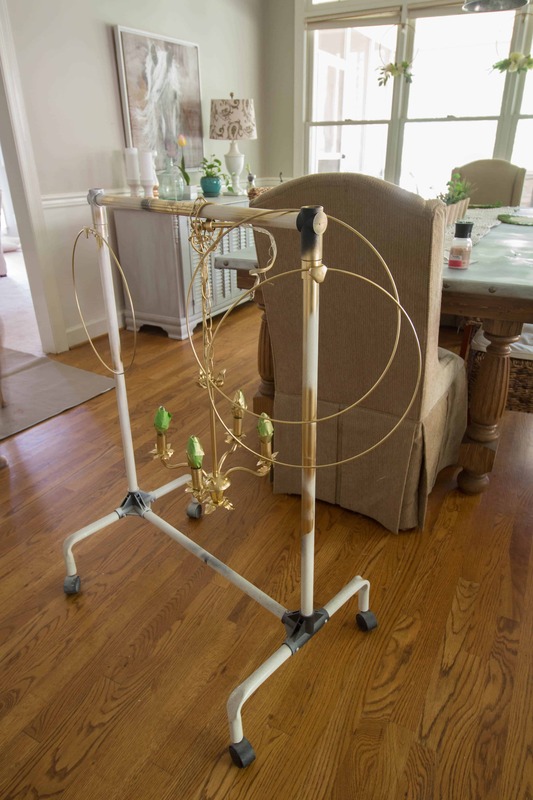 I tied my chandelier to the rack and spray painted the chandelier and the macrame hoops with my favorite gold metallic spray paint. 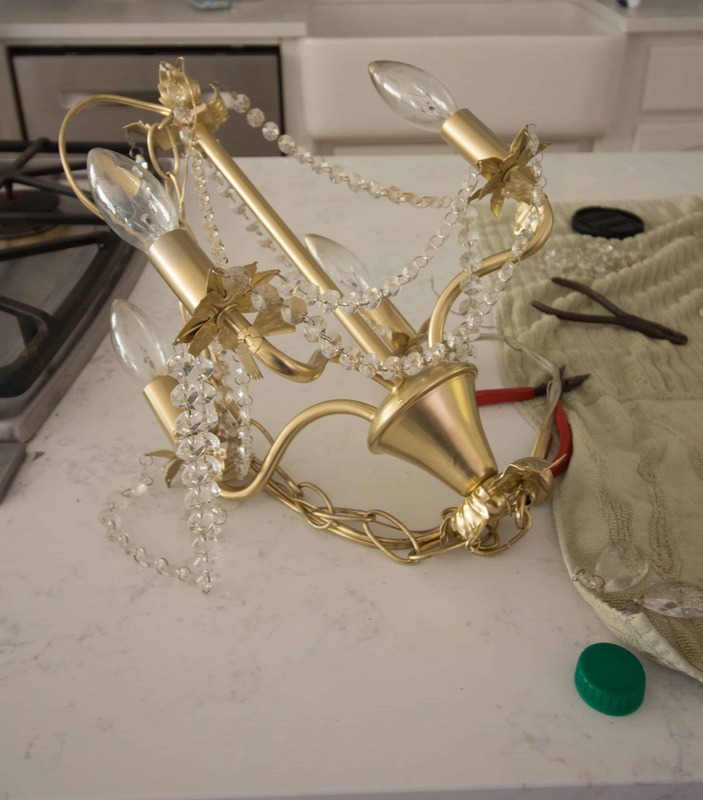 The crystals were very easy to hook back on the chandelier. Attaching the gold spray painted macrame hoops was so easy. I did not have to use any string or glue. 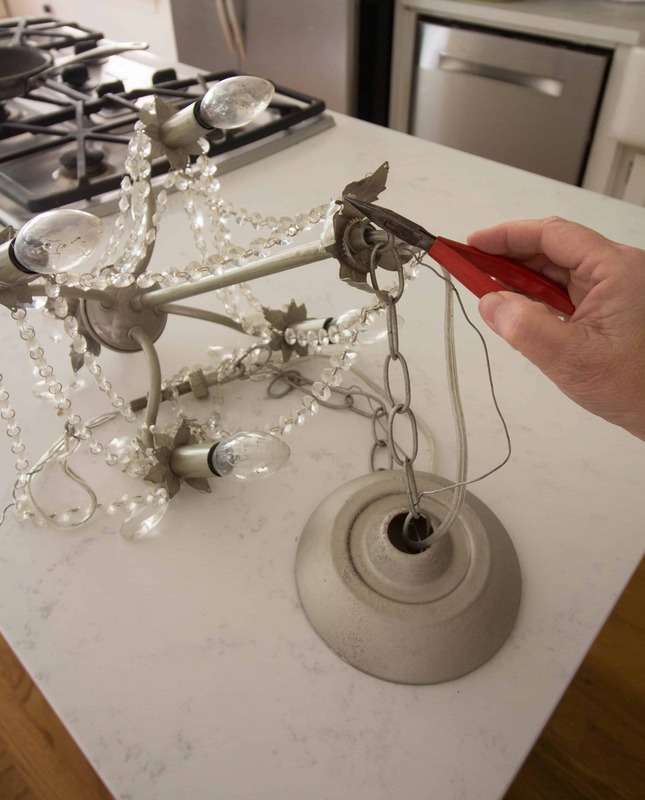 I opened the bottom loop on the chain that the chandelier hangs from with a pier of pliers. I just slipped two of the macrame hoops into that opened loop and closed the loop. 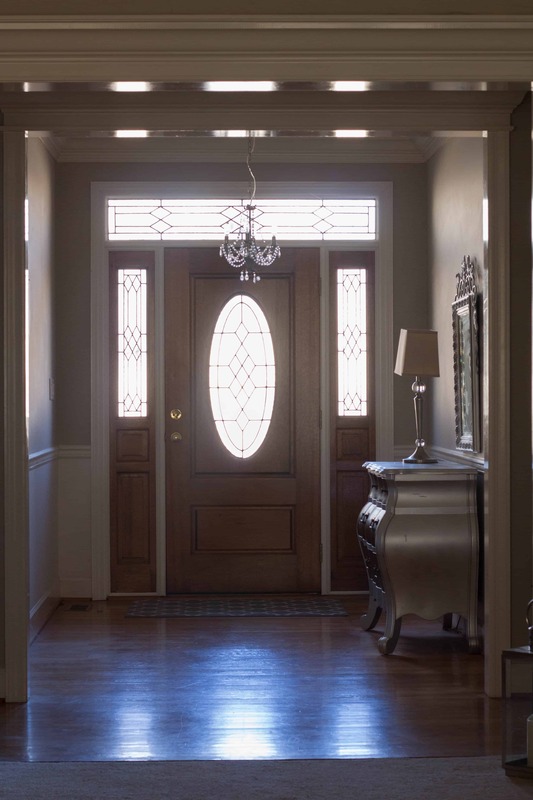 I stood underneath the chandelier after my husband installed the light fixture and slipped the horizontal macrame hoop over the chandelier. The horizontal hoop holds the 2 vertical hoops in place. It could not have been any easier to make. I could add more hoops on the chandelier but I think I like how it looks with 3 hoops. 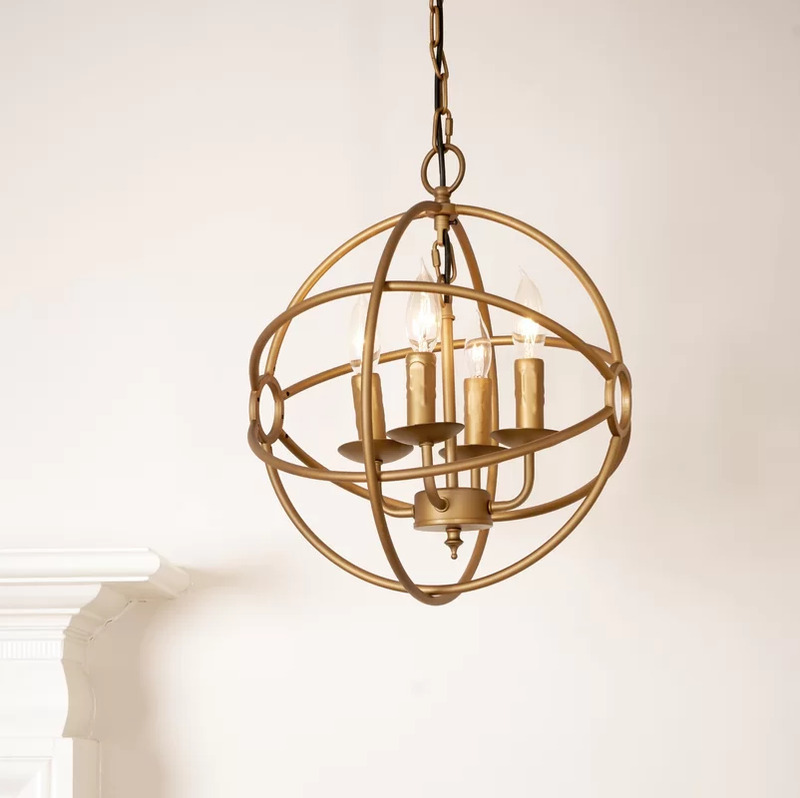 I really love this DIY Orb Chandelier and my husband loves that I did not spend a couple of hundred dollars on a new light fixture. Any time I do a DIY project and save us money, I tell my husband that I have a $ credit now to spend somewhere else! 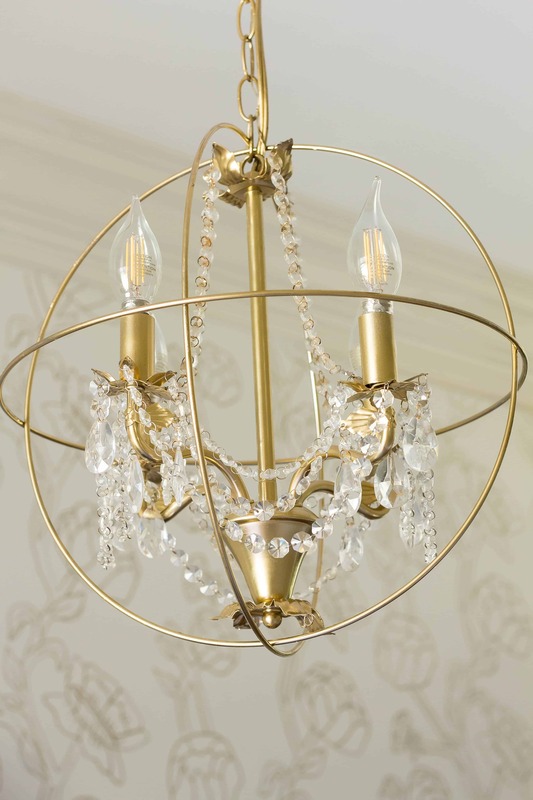 I found a similar Orb Chandelier in gold at Wayfair. The price is $105 which is very reasonable. 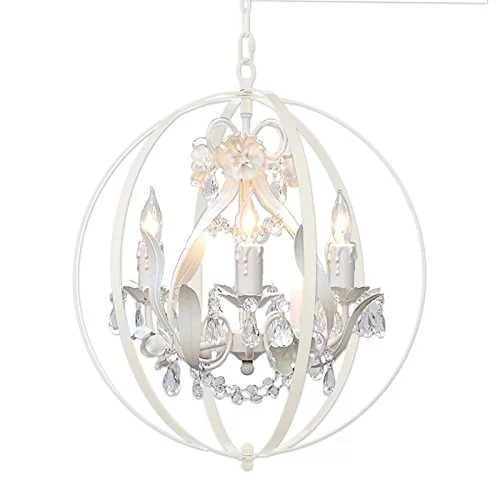 I found a similar small Orb Chandelier in white at Wayfair. This chandelier is the size of mine. You can see the complete Foyer Makeover next week. 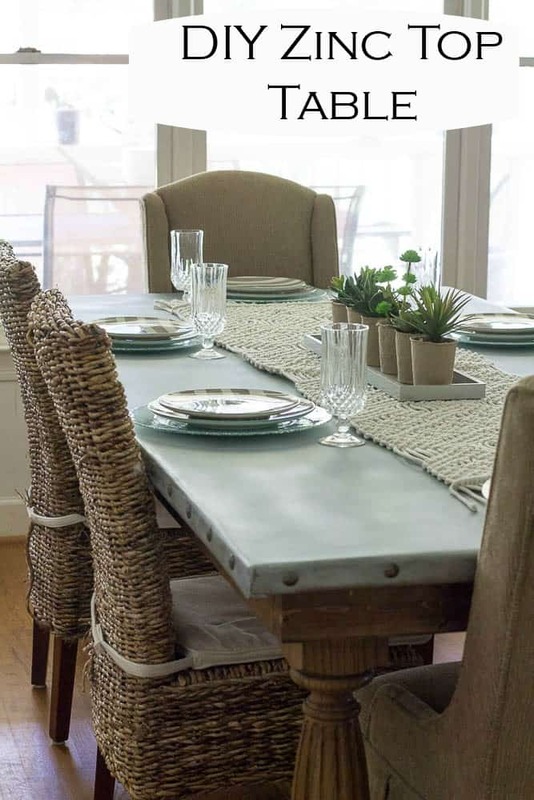 Sherry, you are rocking the DIY projects! Your Sharpie wall and this chandelier both look very professional and high end. Way to go girl! This is amazing Sherry! I can’t believe it’s a DIY!! Thank you Nicki! I am proud of it! 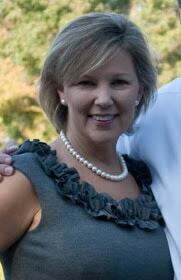 How clever you are Sherry!! I think your chandelier orb is even nicer than the store ones.